NTT, a global information technology and communications leader, has signed a multi-year agreement to become the IndyCar Series title partner. In addition, NTT becomes the official technology partner of INDYCAR, the IndyCar Series, Indianapolis Motor Speedway, the Indianapolis 500 and NASCAR’s Brickyard 400 beginning in 2019. Governing body INDYCAR announced the agreement Tuesday during the North American International Auto Show in Detroit. INDYCAR will partner with NTT to deliver digital innovations that enhance the fan experience. These innovations will include evolution of INDYCAR’s mobile application and adoption of NTT’s proprietary Smart Platform to support the sport and its venues in delivering better insight into the racing series. The NTT IndyCar Series offers what is billed as the fastest, most diverse and challenging racing program in motorsports. The series competes on permanent road courses, temporary street circuits, short ovals and superspeedway ovals, including the iconic Indianapolis Motor Speedway. “Having a strong technology partner is critically important to INDYCAR’s continued growth, so we are thrilled to welcome NTT as our new title sponsor,” said Mark Miles, president/CEO of Hulman & Company, which owns INDYCAR and Indianapolis Motor Speedway. “INDYCAR’s rise in popularity is a testament to the fact that we’ve made the sport as accessible as possible to our fans and we plan to continue in that mission. Based in Indianapolis, INDYCAR is the governing body of the NTT IndyCar Series, the premier open-wheel racing series in North America; the Road to Indy presented by Cooper Tires development ladder, which includes Indy Lights presented by Cooper Tires, the Indy Pro 2000 Championship presented by Cooper Tires and the Cooper Tires USF2000 Championship and the Battery Tender Global MX-5 Cup presented by BF Goodrich Tires. 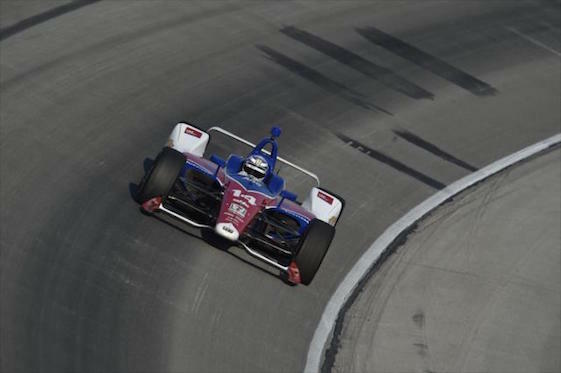 The 2019 NTT IndyCar Series season consists of 17 races, starting with the Firestone Grand Prix of St. Petersburg, Fla., on March 10, including the 103rd Indianapolis 500 on May 26 and concluding with the INDYCAR Grand Prix of Monterey in California on Sept. 22.